Top seed in the Men’s Singles Event at the GAC Group 2015 ITTF World Tour Spanish Open Vladimir SAMSONOV reached the third round of the event in Almeria. After thrilling full distance duel against Harald ANDERSSON of Sweden, Belarus star inflicted the pain in the hearts of the host nation supporters by beating HE Zhiwen in straight games. In the match for the quarter final he will meet Russia’s Alexander SHIBAEV. For the place in the last 16 SHIBAEV beat Greek’s Kalinikos KREANGA. Swede Mattias KARLSSON also joined the group of 16 best players. He overcame CHO Eonare of Korea. Dimitrij PROKOPCOV of Czech Republic halted the progress of Paul DRINKHALL of England. Only three European players reached the Round of 16 in Women’s Singles Event. Georgina POTA of Hungary, seeded no. 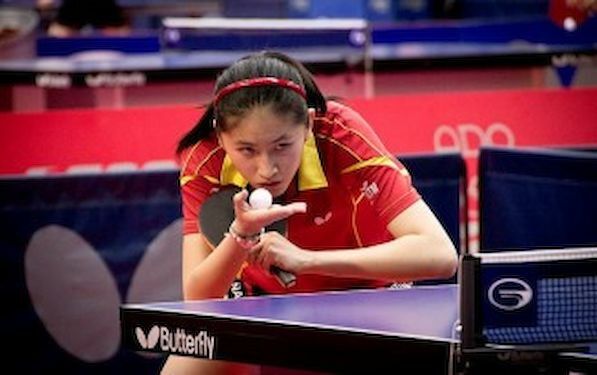 five beat Shiho MATSUDAIRA of Japan in five games. In next round she will meet Japan’s Miu HIRANO who overcame Matilda EKHOLM of Sweden. LI Jie of Netherlands halted the progress of Carole GRUNDISH. French Player caused big upset only one round earlier by beating Dora MADARASZ, the no.27 seed, in five games. In second round LI prevailed in straight games. Tomorrow she will meet Sayaka HIRANO of Japan. Germany’s SHAN Xiaona secured the passage to the Round of 16 after success against Sara RAMIREZ of Spain in five games. For the place in the quarterfinal she will meet Misaki MORIZONO of Japan.